PERRY, PETER, politician and businessman; b. 14 Nov. 1792 in Ernestown (Bath), Upper Canada, youngest child of Robert Perry and Jemima Gary Washburn; m. 19 June 1814 Mary Polly Ham, and they had seven daughters and two sons; d. 24 Aug. 1851 in Saratoga Springs, N.Y., and was buried near Oshawa, Upper Canada. The Perry family’s North American history was begun by Anthony Perry, who immigrated from England to Massachusetts in 1640. 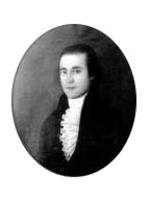 Peter Perry’s father, a loyalist who had moved to Vermont in 1772, served during the American revolution in the Queen’s Loyal Rangers and in Jessup’s Rangers [see Edward Jessup*], and subsequently came to Township No.2 (Ernestown). Raised on his father’s farm there, Peter married a daughter of another loyalist, John Ham, and settled near by in Fredericksburg (North and South Fredericksburg) Township. Public involvement was not new to the Perry family; Peter’s uncle Ebenezer Washburn* had been an outspoken member of the House of Assembly. 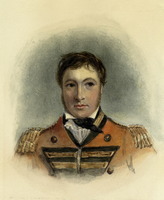 Peter Perry first appeared in the public life of Upper Canada in January 1819. He was one of nearly 200 men of Ernestown Township who signed an address to Lieutenant Governor Sir Peregrine Maitland disavowing the activities of Robert Gourlay* and repudiating the criticism of government he had aroused, especially among recent American immigrants. That address was consistent with the loyalist political tradition which Perry had inherited and which he maintained throughout the most important years of his career. He accepted the land grants due to him as a reward for his father’s decision to remain loyal and he often cited that decision as proof of his own adherence to the British constitution and the imperial connection. But he had inherited more than loyalty. He was a North American whose family connection with the New World stretched back six generations. The appeal of the crown and the constitution were not, for him, based in any way upon the sentimental nostalgia of the newly arrived Briton. Nor was that appeal part of a tory political ideology. He was an egalitarian democrat for whom the rights and interests of the people of Upper Canada were the primary reality. He had no fear of American influence and, while he was prepared to defend the constitution against the “prejudices” of American-born settlers, he did not believe that they should be penalized for uttering them. Thus it was his interest in the alien question [see Sir Peregrine Maitland] that brought him into politics. In 1823 Perry took the lead in protesting the exclusion of Marshall Spring Bidwell* from the ballot in a by-election in Lennox and Addington. On election day, it was later reported in the Kingston Chronicle, Perry spoke to a crowd “from an upper window,” arguing ineffectively that the proceedings were illegal and that British subjects had been deprived of their rights. None the less, in the general election of the following year Perry, a reformer, joined Bidwell as a candidate for the county. The two men, each with American antecedents, led the polls and in January 1825 took their seats in the house. Their political partnership – an association of complementary qualities – lasted until they were both defeated 11 years later; their friendship persisted until Perry’s death. 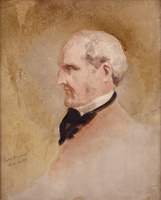 As a result of the election, the colonial assembly was divided between a small reform majority and a minority of conservatives led with consummate ability by Attorney General John Beverley Robinson*. The late 1820s were among the best years for the incipient reform party as its optimistic and enthusiastic members threw themselves into the task of reorganizing colonial society. In the attempt, they developed an esprit de corps that led them to affirm each legislative success in the house by discarding decorum, standing, waving their hats, and cheering tumultuously. Perry fitted well into those parliamentary sessions. He was a man with little formal education, whose speeches contained no biblical quotations or classical allusions. Blunt, occasionally emotional, and often enlivened with imaginative, if homely, references to the common experiences of the inhabitants of Upper Canada, his speeches reveal him as an aggressive, sometimes overbearing man whose emphatic sincerity about the purity of his own motives reflects a certain self-righteousness. He conceived of himself as the spokesman of the common people and the defender of their rights. They were, he said, as talented and capable as any people anywhere and needed only “to have their paps brought out by education” in order to prove it. When he spoke about Upper Canada, Perry had in mind primarily a society of small agricultural and, latterly, industrial producers. The people, with the farmers the most important group among them, were, he thought, the source of all political sovereignty. To express and protect their rights and interests, Upper Canadian society should, he believed, be democratic and egalitarian. He opposed, therefore, élites of all kinds and considered that the colonial government ought actively to discourage them. During the mid 1830s, for example, he spoke out against the “great power” enjoyed by the Bank of Upper Canada [see William Allan] and believed that bank directors in general should be required to guarantee deposits with their personal assets. When the first railways in Upper Canada were chartered in 1836 he tried to have their charters amended to allow the government to purchase them after 50 years. As well, he favoured local control over local affairs. He supported a decentralized political system with township officials elected by secret ballot. At a higher level he was willing to assert the economic and political interests of the colony over those of both Britain and the United States. Perry’s involvement in the business of the assembly after 1824 established him as an unimpeachable reformer. He moved or seconded the resolutions and voted for the bills – passed repeatedly by the house but rejected by the Legislative Council – that collectively defined the party’s identity. On the alien question, he was consistently in favour of removing all restrictions on the civil status of American settlers and, indeed, wanted the colonial government to encourage additional immigration from the United States. He voted to abolish primogeniture in cases of persons dying intestate, for the abolition of imprisonment for debt, for the provision of counsel for accused felons, and for the repeal of the Sedition Act of 1804. Perry wanted to erase doubt about the independence of the judiciary by removing the colony’s chief justice from the Executive Council. He was one of the minority in the house who, in the interest of taxpaying farmers, tried unsuccessfully to block government loans to the Welland Canal Company. He supported resolutions, again without success, by which control over colonial trade with the United States would be transferred from London to York (Toronto) and a protective duty on American livestock imports would be established. 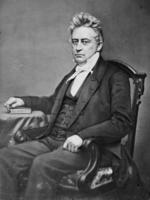 Of all the issues that came before the assembly, the ones that most engaged Perry’s attention were those complex questions involving the relationship of church and state. Although his family were Methodists and he had been married by a Presbyterian clergyman, Robert McDowall*, Perry had no denominational affiliation. He believed in what he called “pure and undefiled religion,” simple and basic Christianity which, ideally, would be taught by enthusiastic clergy, financially dependent upon their congregations and intent only upon the salvation of souls. It was the ecclesiastical counterpart of the egalitarian community he favoured. What he found in Upper Canada was quite different. The establishment there of the Church of England implied a society in which religious and social inequality was guaranteed by law. Anglicans constituted an élite and from his first days in the legislature Perry set about the work of levelling their pretensions. He voted consistently for the secularization of the clergy reserves, urging that they be sold and the proceeds be applied either to internal improvements or to popular education. He supported resolutions and formulated addresses to the imperial authorities requesting that all ecclesiastics be removed from the Legislative and Executive councils. He was convinced that King’s College (University of Toronto), with its exclusive charter, was intended to produce an educated oligarchy that would oppress the common people of the colony and he was, therefore, determined that the charter’s objectionable features be removed. Perry had minimal success in most of these attempts at ecclesiastical reform. But there was one exception. In each session of the legislature during the late 1820s Perry was either the mover or the seconder of a bill designed to permit clergymen of every legally recognized denomination to perform the marriage ceremony. His bills were turned back by the Legislative Council until the session of 1829. The measure he proposed that year was passed by both houses and, after being reserved by Lieutenant Governor Sir John Colborne*, it became law in 1831. It was the most important piece of legislation with which he was associated. Perry was re-elected in 1828, 1830, and 1834. He was a member of the house, therefore, as the political constitution of the colony slowly began to break down. During those stormy years he was intent not on changing the constitution but on desperately striving to make it work. He accepted the result of the election of 1830, which reduced the reformers to a small group, and, unlike William Lyon Mackenzie*, was able to reconcile himself to the generally conservative consequences. Throughout the sessions of the 11th parliament (1831–34), the “glorious minority,” though outvoted scores of times, persistently criticized the proposals of the conservative majority and brought forward its own resolutions and bills, with some success. In 1831 a resolution requesting the removal of Anglican privilege from the charter of King’s College was approved by a large majority. The assembly also voted to terminate the salary of its Church of England chaplain. The felon’s counsel bill moved successfully through the house, and those amendments to the libel law of which reformers could approve were endorsed by the majority; neither measure, however, received royal assent at that time. In 1834, when confronted by possible imperial disallowance of recent banking legislation [see William Allan], the members voted almost unanimously for a resolution, moved by Bidwell and seconded by Perry, that unambiguously asserted colonial autonomy against imperial interference. There were other minor victories. Put together with the reformers’ triumph in the election of 1834, these successes allowed Perry at times to be mildly optimistic about the progress of reform. Nevertheless, it is quite clear that by 1835 the political constitution of Upper Canada was close to collapse. The balanced constitution of the colony could only operate properly in an atmosphere of moderation, in which divisive issues were avoided and cooperation among the three branches (elected assembly, appointed legislative council, and lieutenant governor) was made possible. What developed instead was political polarization that culminated in a crisis in the spring of 1836, precipitated when Robert Baldwin and the rest of the Executive Council resigned in protest over actions by the new lieutenant governor, Sir Francis Bond Head*. 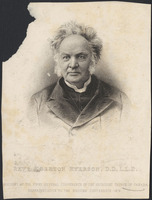 One source of that polarization was the conflict between William Lyon Mackenzie and the conservative majority in the assembly. Mackenzie posed serious problems for Perry. On the one hand, he and Mackenzie had similar ideas about the kind of society that ought to be established in Upper Canada. There was, therefore, a broad range of legislative matters on which they could cooperate. Moreover, from the time of Mackenzie’s first expulsion in 1831 until parliament was dissolved in 1834, Perry and Bidwell defended Mackenzie in the house on numerous occasions and urged the angry members to moderate their treatment of him. In the session of 1835 not only did Perry vote to have the record of the expulsions expunged from the Journal of the house but he also declared that it ought to be publicly burned by the common hangman. Nevertheless, Perry ultimately dissociated himself from Mackenzie. One reason was the latter’s lack of moderation, his uncompromising intransigence. That was what Perry referred to when he remarked that he and Bidwell disapproved of Mackenzie’s “occasional violence.” There was another reason. Mackenzie was all too willing to depart from the British constitution. Perry was as dedicated to reform as Mackenzie but he was convinced that it could be achieved within the established constitutional framework. He could not, therefore, accept Mackenzie’s suggestion that the Legislative Council be made elective. To do so would be to modify seriously the constitution that his father had sacrificed “all but life” to defend. When he considered the question during the session of 1835, as chairman of a select committee on the Legislative and Executive councils, he carefully avoided recommending the extension of the elective principle to the upper chamber. To resolve the impasse between the two houses, he urged only that the imperial authorities change the composition of the Legislative Council. By the time the session of 1836 had begun, Perry had ceased thinking about the upper house and had turned instead to a version of responsible government. In a proposed amendment to the reply to the speech from the throne, he took up the notion that the British constitution operated imperfectly in the colony. 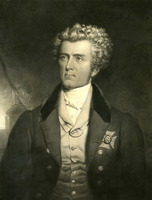 He drew a contrast between the convention in London, by which councillors were “only such men as enjoy the confidence of the people, expressed through their representatives,” and the practice in Upper Canada, where positions of “trust, honor or emolument,” from executive councillors to militia officers, were “bestowed on persons belonging to a particular party in politics.” That, Perry said, directly contravened the constitution. When the assembly rejected his amendment in favour of a more general statement, Perry did not pursue the matter. But when the Executive Council resigned on Saturday, 12 March, he seized upon the issue again. On Monday he immediately moved the preparation of an address to Head affirming approval in principle of a responsible Executive Council and requesting information on the resignations. The lieutenant governor’s reply and related documents were laid before the assembly two days later and again Perry forced events. He moved the creation of a committee, of which he would be chairman, to report on the information the house had received. On the next day he also introduced a motion declaring an “entire want of confidence” in the four new councillors whom Head had appointed: William Allan, Augustus Warren Baldwin*, John Elmsley*, and Robert Baldwin Sullivan. Perry presented his report on 15 April and after a long debate the house voted to accept it on the 18th. His solution to the crisis was, essentially, to extend the whole British constitution to Upper Canada. That would involve a system in which the lieutenant governor would be required to appoint executive councillors who had the confidence of the assembly, to consult with them on all important questions, and to follow their advice. In effect, as his critics immediately pointed out, Perry claimed colonial sovereignty over all local affairs. 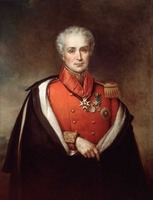 Given his loyalist background and his repeated insistence that he wished to maintain the imperial connection, the conclusion he reached in 1836 demands explanation. What seems to lie at the bottom of it was that Perry did not see the crisis primarily as one involving an antithesis between colonial interest and imperial authority. He conceived of the crisis as an internal one precipitated by the aggressive behaviour of the executive branch of government. He cited two examples of the way in which the lieutenant governors had acted irrespective of popular wishes: patronage appointments and the creation of rectories as endowments for Anglican clergymen. Moreover, Head had informed the house that, in so far as the colony was concerned, he intended to retain total freedom of action in the future. Within the context of the balanced constitution, Perry saw those actions and that claim as despotism. He turned to the idea of responsibility as a means of restoring the balance and, like his 17th-century counterparts in the British parliament, recommended that the supplies be withheld. Although Perry welcomed the election of 1836 – in fact he challenged Head to call it – he and Bidwell lost their seats to the conservatives John Solomon Cartwright* and George Hill Detlor. By that time Perry had accumulated an impressive list of political liabilities. Like Mackenzie, he had broken with Egerton Ryerson* and probably lost the support of some Methodists. He was accused in the Kingston press of using his political position to secure for himself and his friends appointments to government positions which the assembly intended to create. Perry was also an extensive speculator in loyalist land rights and had been a leader in the assembly in attempting to have the requirement of settlement duties removed from them. As well, despite his attempts to distance himself from Mackenzie – Perry voted against the adoption of the Seventh report on grievances in 1836 – the association between them remained too close for many. Similarly, the vigour of his denunciation of Head as a deliberate liar and a tyrant who would place “a yoke of despotism” on Upper Canada, was seen by the Kingston Chronicle & Gazette as an insult to the crown and a danger to the imperial connection. There was another factor in the reaction against Perry which was of greater importance and was, moreover, largely beyond his control. 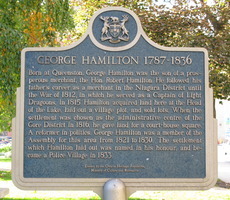 When he and Bidwell had been first elected, the Bay of Quinte area was the most settled and prosperous region of the colony. By the mid 1830s, however, the rapid development of the western part of the province had made it appear a backwater. No politician could do much to improve those circumstances and the situation was made even more damaging politically when it was argued in the Chronicle & Gazette in 1834 that new settlers avoided the Quinte region because of its American reputation, the eradication of which demanded the defeat of Perry and Bidwell. After the election Perry withdrew from public life. There were rumours that he would return but in fact he had decided to leave Lennox and Addington to pursue another career. By the fall of 1836 he had moved to Whitby Township, on the north shore of Lake Ontario, and had begun business as a general merchant. The location was an excellent choice. Its most attractive feature was the harbour at Windsor Bay and Perry was fully aware of its potential; in 1831 it had been made a port of entry. Government engineers reported in 1835 that if improved, Windsor harbour would be the best facility between Toronto and Kingston. In the spring of 1836, a few days before he presented his final constitutional report, Perry personally guided legislation through the house that provided £9,000 to pay for improvements to the site. The bill died, however, when Head dissolved parliament and called an election. For a few months in the spring and summer of 1838 Perry may have seriously considered moving to the United States. At that time he was one of a group of reformers who organized the Mississippi Emigration Society; he was, in fact, chosen to act as its president. But a large-scale exodus from Upper Canada failed to materialize and in the end he decided to remain in Whitby Township. Perry’s business prospects were based on the capacity of the harbour to handle the commercial traffic of the extensive area to the north, at least as far as Lake Simcoe. By the 1840s, to exploit that traffic, Perry had constructed warehouses with access to the government wharf. The centre of his enterprise was the general store located slightly north of the port in the village of Windsor (Whitby), which became known as Perry’s Corners. He also possessed a store at Port Perry, at the western end of Lake Scugog. In the mid 1840s Perry took the leadership in persuading the government to take over and improve the road from Windsor harbour to Lake Scugog. This Centre Line road was essential because it would direct the traffic of the northern area through Windsor rather than its rival, Oshawa. Not only was the road built, but in 1850, acting on behalf of a company he had organized, Perry purchased the road from the government along with the harbour facilities at Windsor Bay at a price that was less than half of the original cost. With those components in place, he might well have been optimistic about his commercial future. During the late 1840s Windsor harbour handled a larger volume of traffic than any other Canadian port on Lake Ontario except Toronto and Kingston. But when Perry died in 1851, his personal financial situation seemed precarious. Although he had provided for his family, his will recorded debts of about £10,000 with virtually no assets with which to satisfy them. Perhaps the costs of establishing his enterprise, especially the purchase price of the road and harbour, were more than his resources could absorb. Although Perry left public life in 1836, he did retain a connection with politics. Throughout the 1840s he worked in the reform interest in the riding to which he had moved, 3rd York. Consistent with his position in 1836, his immediate objective appeared to be the same as that of the reform party, a system of responsible government. To achieve it he was willing to accept the leadership of Robert Baldwin. Indeed, as the election of 1844 approached, he tried to persuade Baldwin to be the riding’s candidate. When he declined, Perry threw his influence behind James Edward Small*, and four years later worked on behalf of William Hume Blake*. In fact, Blake, who did not appear in the riding during the campaign, seems to have owed his election largely to Perry’s influence in Whitby Township. Yet, by the fall of 1849, Perry was in the process of breaking with the reform majority. Although he left no testimony about his reason, his career surely reveals it. He was a North American for whom the interests of the people of Upper Canada were paramount. Those interests, he thought, would best be served by the establishment of a democratic and egalitarian society. But until the late 1840s Perry pursued that goal within the structure of the British constitution. His expectations of the new system of responsible government, however, were far more radical than those of the Baldwinite reformers. The performance of the ministry of Baldwin and Louis-Hippolyte La Fontaine* during the sessions of 1848 and 1849, therefore, must have been a bitter disappointment to him. When Blake resigned his seat in late 1849, Perry accepted the nomination in the ensuing by-election. He did so on a platform that could not be approved by the reform party leadership. By the fall of 1849 Perry had become a republican and he refused, despite pressure from Baldwin, Francis Hincks*, and George Brown*, to declare himself opposed in principle to annexation. Nevertheless, his election campaign was successful and at the convention in Markham in March 1850, he publicly abandoned the British constitution and emerged as one of the leading Clear Grits. Perry, however, had little time left to work for radical reform. Severely ill in the spring of 1850, he was unable to take his seat in the legislature until early July and even after that his attendance was irregular. His voting record and the resolutions he introduced, notably on the Municipal Corporations Act, reveal his clear opposition to the reform leaders. 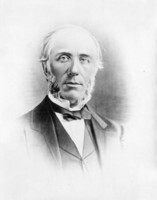 When the session came to a close in early August, he had achieved little – even a bill he moved which would have created a new county, Ontario, with Whitby as its municipal centre, was refused second reading. It was his last session. By the spring of 1851 he was again drastically ill. There was a brief recovery in early summer which allowed him to regain sufficient strength for a visit to Marshall Spring Bidwell in New York City. But, before he could return, he died at Saratoga Springs on 24 August. AO, RG 1, C-I-3, 81: 170; 85: 55; 92: 14; 152: 121; C-I-4, 4: 43; C-III-3, 1: 88; 2: 12, 37, 74, 84, 148, 192; C-I-5, 1: 143, 310–11, 734; 14: 40; RG 22, ser.155, will of Peter Perry. MTL, Robert Baldwin papers, A43, Perry to Baldwin, 4 Dec. 1843; 1, 10 Oct., 13 Nov. 1845; 16 March, 3, 16 April, 9, 19 May, 25 July, 21 Dec. 1846; 21 Jan., 29 April, 15 June, 12 July, 12 Oct. 1847. PAC, RG 1, E1, 55; L3, 403: P11/62; 404: P12/28; 418: P misc., 1775–95/70. Whitby Hist. Soc. Arch. (Whitby, Ont. ), Perry family genealogy. Can., Prov. of, Legislative Assembly, Journals, 1850. “The constitutional debate in the legislative assembly of 1836,” ed. W. R. Riddell, Lennox and Addington Hist. Soc., Papers and Records (Napanee, Ont. ), 7–8 (1916). R. H. Thornton, A sermon preached at the interment of Peter Perry, esq., M.P.P., who died at Saratoga, 24 August, 1851, aged 51 years, 9 months, and 10 days (Whitby, 1851; copy at Whitby Hist. Soc. Arch.). “United Empire Loyalists: enquiry into losses and services,” AO Report, 1904: 1014–15. U.C., House of Assembly, App. to the journal, 1835, 2, nos.27, 53, 93; Journal, 1825–36. British Colonist (Toronto), 21 Jan. 1848. 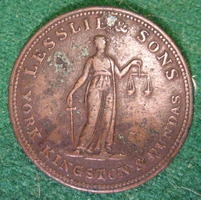 British Whig, 15, 18, 22 April, 30 Sept. 1834; 5 Feb., 16 March, 16 May, 22 Dec. 1835; 26 Jan., 27 Oct. 1836. Chronicle & Gazette, 11 Jan., 24 May, 26 July 1834; 11 Feb., 7, 25–26 March, 2, 8, 25 April, 13, 16, 25, 27 May, 22 Dec. 1835; 9, 16, 26 Jan., 24 Feb., 23, 26, 30 March, 18, 25 May, 4, 18, 22 June, 9 July 1836; 11 Sept. 1839; 12 Aug. 1840. Colonial Advocate, 24 Nov., 2 Dec. 1831. Correspondent and Advocate (Toronto), 21 March 1836. Daily British Whig, 27, 29 Aug. 1851. Kingston Chronicle, 29 Jan. 1819, 18 April 1823, 24 March 1832. Kingston Gazette, 22 June 1814. Patriot (Toronto), 19 Sept. 1837. 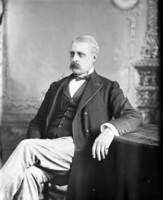 J. C. Dent, The Canadian portrait gallery (4v., Toronto, 1880–81), 3: 212–13. Pioneer life on the Bay of Quinte, including genealogies of old families and biographical sketches of representative citizens (Toronto, 1904; repr. Belleville, Ont., 1972), 940. William Canniff, History of the settlement of Upper Canada (Ontario) with special reference to the Bay Quinte (Toronto, 1869; repr. Belleville, 1971), 666. Cowdell, Land policies of U.C. Craig, Upper Canada. French, Parsons & politics. W. S. Herrington, History of the county of Lennox and Addington (Toronto, 1913; repr. Belleville, 1972), 369, 396. L. A. Johnson, History of the county of Ontario, 1615–1875 (Whitby, 1973), 142–47. Patterson, “Studies in elections in U.C.,” 405–6. G. M. Jones, “The Peter Perry election and the rise of the Clear Grit party,” OH, 12 (1914): 164–75. R. S. Longley, “Emigration and the crisis of 1837 in Upper Canada,” CHR, 17 (1936): 29–40. W. R. Riddell, “The law of marriage in Upper Canada,” CHR, 2 (1921): 226–48. H. E. Turner, “PERRY, PETER,” in Dictionary of Canadian Biography, vol. 8, University of Toronto/Université Laval, 2003–, accessed April 19, 2019, http://www.biographi.ca/en/bio/perry_peter_8E.html.